Andrew Graham, President and CEO of Clinic Service has partnered with David Silverstein, founder of BrokenHealthcare.org Broken Healthcare is focused on price transparency for services rendered in the Healthcare system. Andrew & David dive deep into how they plan to get America’s Healthcare back on track. Alex Beim, Director of Business Development for World Trade Center Denver joins us to discuss everything that WTC Denver is up to in 2018, including the upcoming groundbreaking for the new campus in the RiNO neighborhood. Emily Schromm, Health and Wellness Entrepreneur joins us to talk about her unique career path. From reality T.V. personality to owning several businesses, Emily shares her path. Emily’s latest venture is a tea product called Element Tea, Bonnie Chacon Global Supply Chain and Sourcing Manager at CAP Logistics helps explain how they teamed up to get Element Tea from an inkling of an idea to a product you can purchase. Rocio Perez, Director of Leadership for GlobalMindED joins us for the third installment in our series on the GlobalMindED Conference. 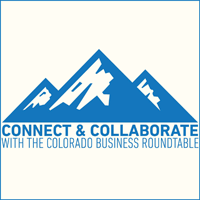 Rocio's guests include Dr. Jeff Sidders, Business Outreach Specialist for the Colorado Department of Labor and Employment (CDLE), and Melissa Freigang, Vice President of Social Innovation and Workforce Initiatives for LSI. Together they introduce us to the importance of bridging the gap between ability and opportunity. Gregory A. Friedman, Senior Vice President and Head of Fidelity Investment’s ETF Management and Strategy Group joins us to talk about how to ensure you’re getting the most out of your investments.